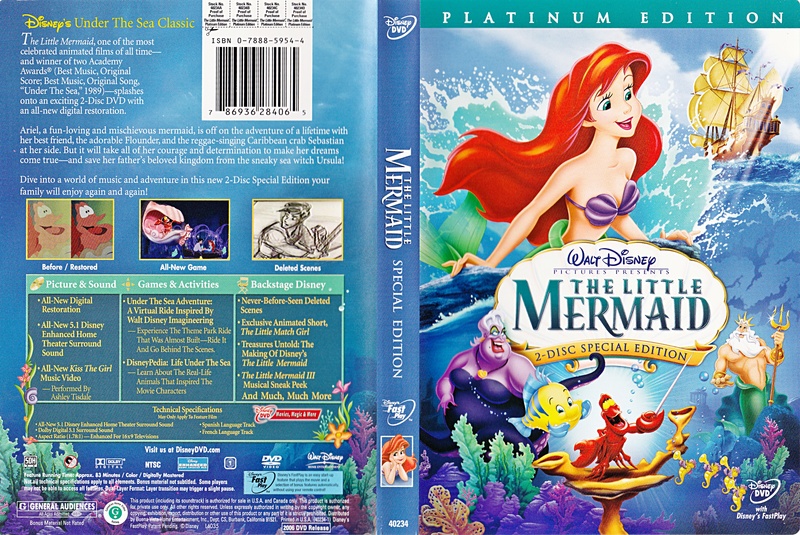 Walt Disney DVD Covers - The Little Mermaid: Platinum Edition. Walt Disney DVD Cover of The Little Mermaid: Platinum Edition. HD Wallpaper and background images in the personnages de Walt Disney club tagged: walt disney characters walt disney dvd covers walt disney platinum editions the little mermaid princess ariel ursula sebastian flounder.